• Earn the IX Bear Totem by remaining current with your 2019 Lodge Dues. 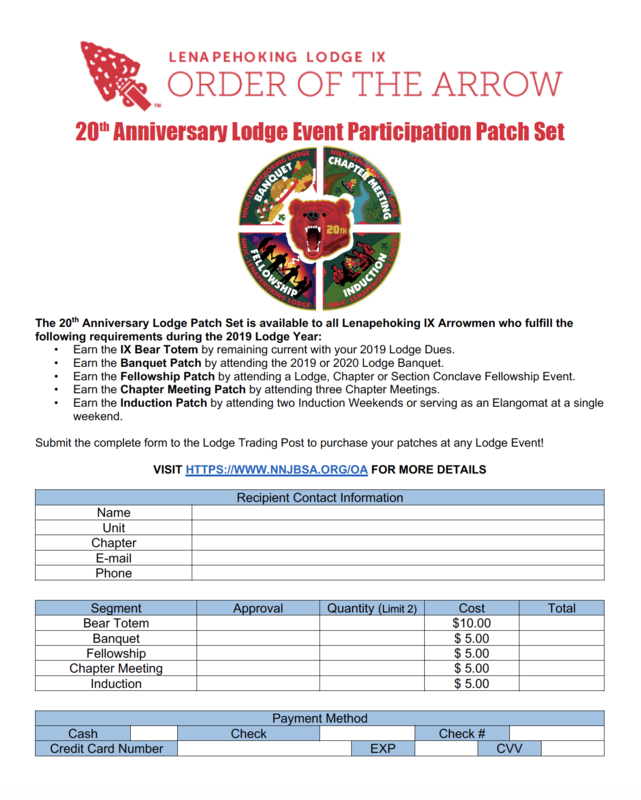 • Earn the Banquet Patch by attending the 2019 or 2020 Lodge Banquet. • Earn the Fellowship Patch by attending a Lodge, Chapter or Section Conclave Fellowship Event. • Earn the Chapter Meeting Patch by attending three Chapter Meetings. 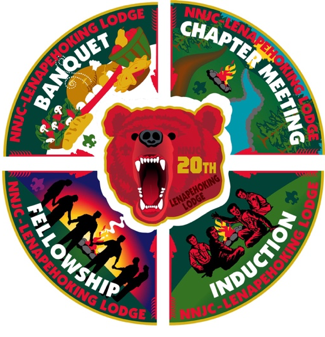 • Earn the Induction Patch by attending two Induction Weekends or serving as an Elangomat at a single weekend. Submit the complete form to the Lodge Trading Post to purchase your patches at any Lodge Event! You can download the tracking/ order form here.